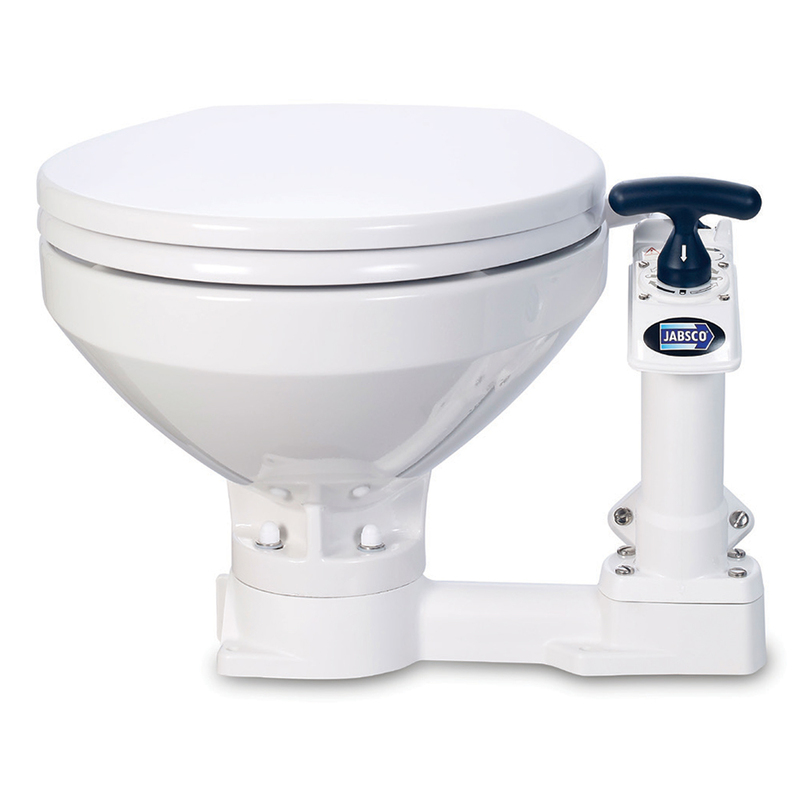 From best-selling manual toilets to household-style luxury models, Jabsco marine toilets are both simple and reliable. Popular worldwide for more than two decades, Jabsco‘s sturdy manual toilet ensures peace of mind thanks to the intuitive, simple to use Twist ‘n‘ Lock feature. It provides protection against siphonic flooding and waste backflow with one easy, 90° turn of a handle.